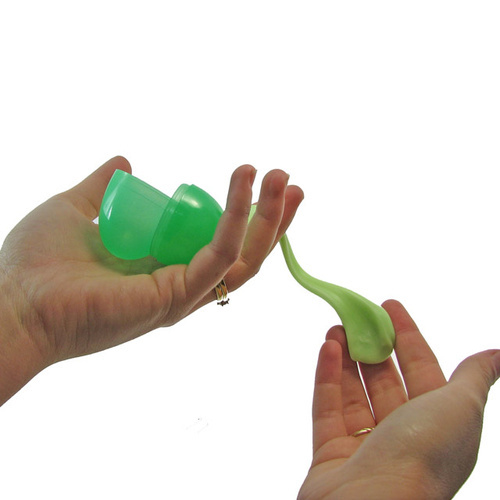 Jumping Putty | Mould, stretch and Snap it into a ball! It really does jump when bounced! It even glows in the dark! 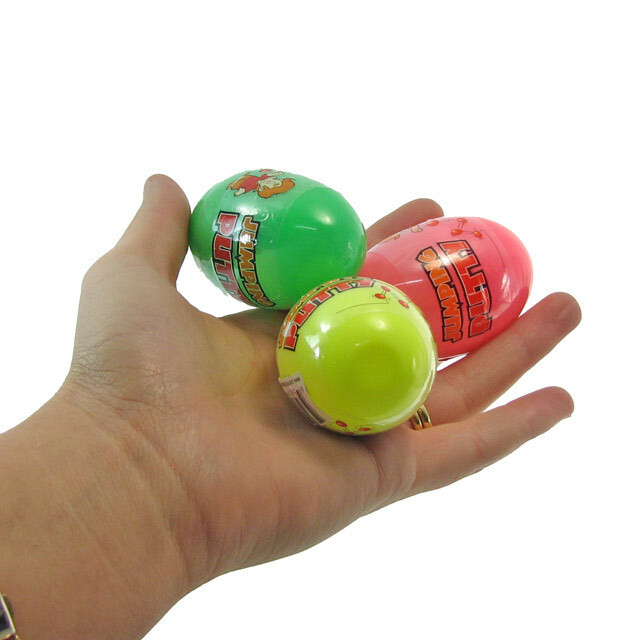 Jumping Putty really does jump (or bounce) when you roll it into a bouncy ball! You can mould it, stretch it, snap it and more! It's not slimy or sticky but it is tough and stretchy! You can mould your Jumping Putty into a ball, or keep it egg-shaped like a football for an unpredictable bouncing pattern! Available in a range of colours including pink, yellow and green (chosen at random). When you putty is not in use, squish it back into its egg for easy storage! Dimensions of putty in egg: 6cm (h) x 4cm (w). My daughter is very impressed with glow in the dark feature of this putty....still glowing strong after a month.